These dark chocolate pomegranate bites are such a fun, festive, colorful and EASY dessert to make over the holidays. They're naturally gluten-free and vegetarian and can even be made with dairy-free dark chocolate chips to make them vegan. This dessert is straight out of Miryam Quinn Doblas' new book, "The Healthy Matcha Cookbook: Green Tea-Inspired Meals, Snacks, Drinks, and Desserts" She is a blend (blogger + friend) whom I have gotten to know over the past few years and had fun adventures with in Seattle and Napa Valley. 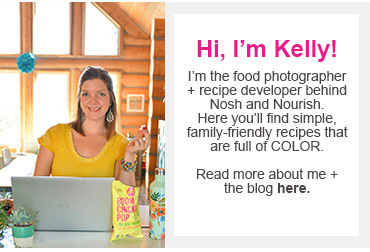 Her blog is Eat Good 4 Life --- and I love her recipes because they're all health(ier), use real whole foods, and are easy to prepare. This book is no different. Matcha is a concentrated, powerful powdered form of grean tea that is full of antioxidants and considered a true superfood. It helps fight free radicals, prevent disease, boost metabolism, burn calories, lower cholesterol, and help you sleep soundly. Really... who doesn't want all of that?! See?!?!?! So many good things to make! But, you'll want to start with these dark chocolate pomegranate bites. I've made bark tons of times. Remember this holiday version, this carrot cake version, this Easter version, and this pumpkin one? But I've never spooned the chocolate into cute little individual bites like this. It always seemed like it'd be hard to get them so perfectly round, but it was super easy! Miryam recommends putting them on parchment paper --- which I did not, because I was out (as you can see in the photo above)... but they would've done better than my coconut oil prepared pan. Once hardened, a few of the bites cracked when I tried to get them out. 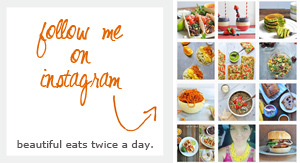 All that to say, follow her recipe and instructions exactly! The pomegranate seeds, pistachios, and match powder are a perfect combination of flavors and textures! You can buy a copy of her book here. 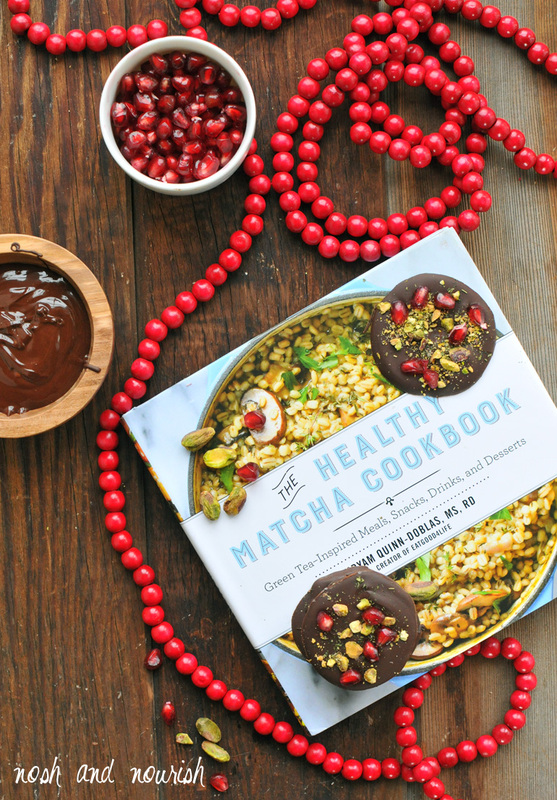 *This recipe is from The Healthy Matcha Cookbook, shared with permission of Skyhorse Publishing. Drizzle dollops of chocolate 2 - 3 inches apart on the prepared baking sheet, spreading each with the back of a spoon. 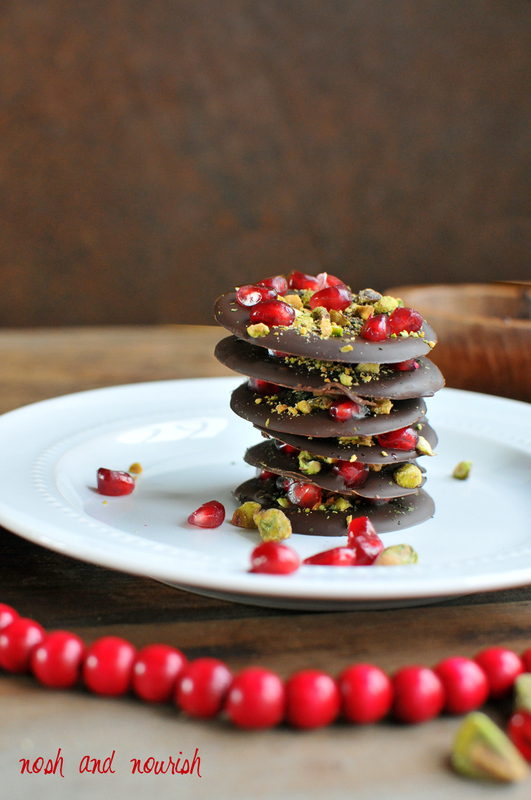 Place a few pomegranate seeds and pistachios over the chocolate. 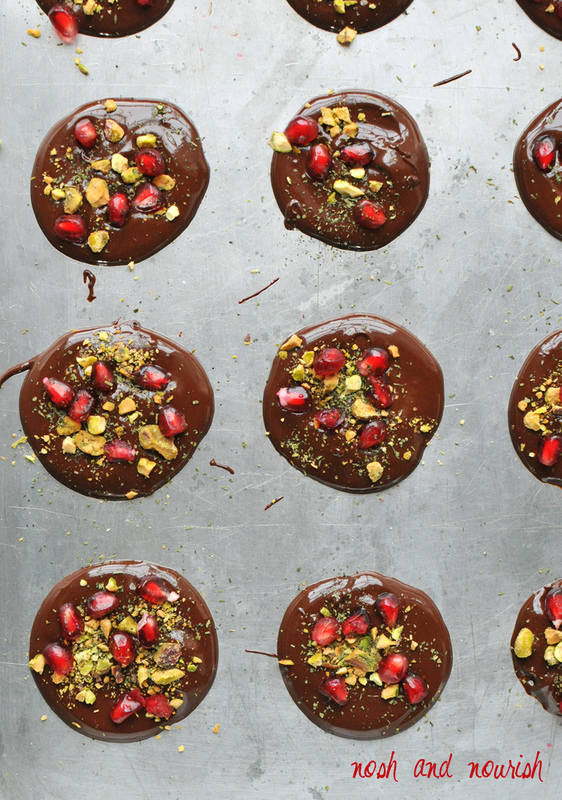 Repeat until you use all the chocolate , pomegranate, and pistachios. Sprinkle the matcha powder over each piece and set the tray aside until the chocolate sets. (I put mine in the fridge to speed this up). Store chocolate bites on the kitchen counter.